I was wild about this song and their dynamite album Pop Filter that preceded it, especially the first time I saw them live at a Ballroom Dance Club charity ball for the Save the Music Foundation. And yes, there was endless dancing, plus a guitar pick that I took home from that night. 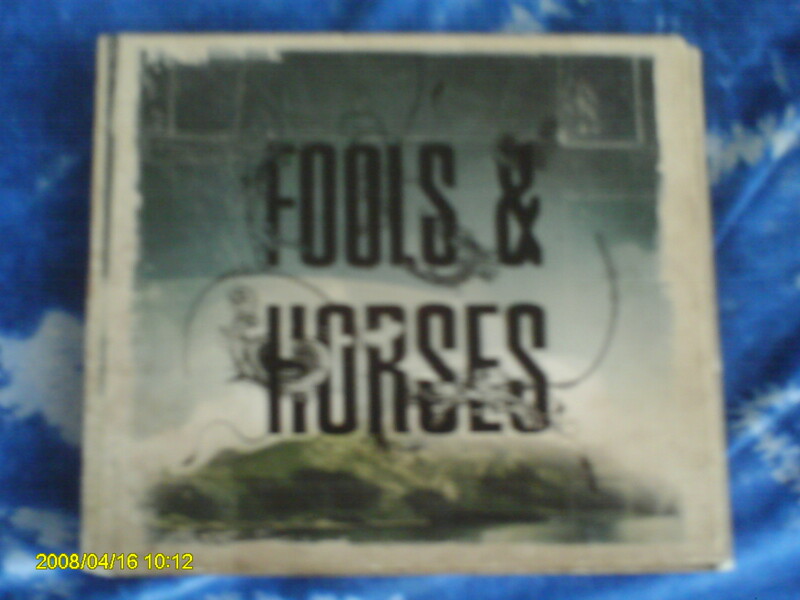 Their last self titled album from 2010 is sitting with my collection at home, signed by dear lead singer Matt and the rest of the band. “Rachel, to the best journalist I know! 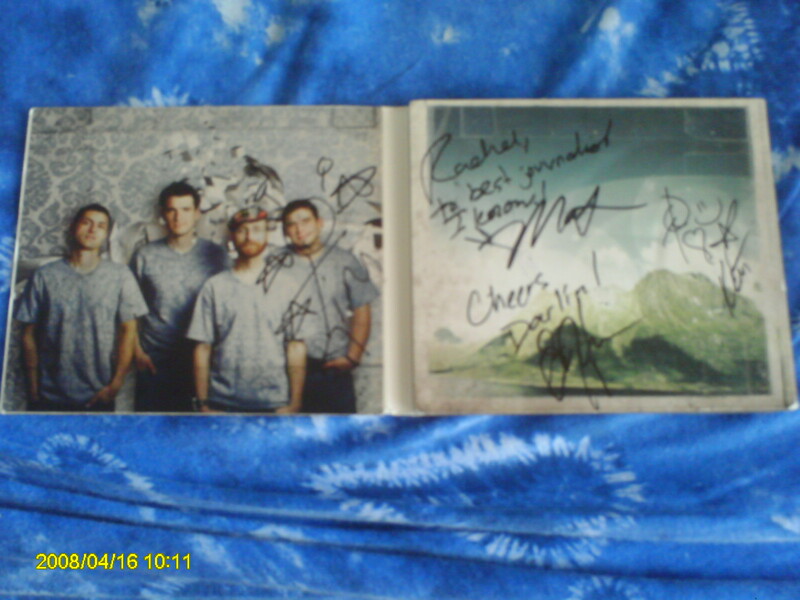 –Matt,” wrote singer/guitarist Hutchison, autographed at the White Marsh Avenue summer concert, 2010. Funny story how I learned about these guys: Right after my last class of the day before the weekend, my painful sore throat immediately turned into a nasty cold in a matter of minutes. By the time I made it to the on campus Paws Lounge to see High May’s gig with other acts to possibly do a story for class, my headache and sniffles consumed me that I sat in a chair through the whole gig, my stuffy head held to the ceiling, eyes closed, and ears taking in the music. I laughed, trying not to cough. “Thank you,” I called back. I would pay cash to see them again or buy another CD next time; their whole performance that night was sensational, and needless to say, worth seeing their set while fighting the cold bug. I still feel like I should have paid at least three dollars for the EP that sits in my CD pouch to this day. Atto’s thoughtfulness of me being sick, however, was pretty sweet. This is possibly one of my favorite songs they’ve ever written, aside from their best song “You and Me”. I met identical twins Darryl and Elliot Glotfelty on a leadership retreat one year and we were instant friends ever since. Their rock band based here in Maryland, from a rural town called Accident (hence the above album title) in Garret County that’s probably frosted with snow right now—they made some very good rocking love songs, plus an awesome rendition of a Jimi Hendrix cover the last time I saw them before we graduated. What a night. And I wish the Torrent Lounge night club would close permanently just so another rock music venue would open there. No one knows how badly I want the Recher back.